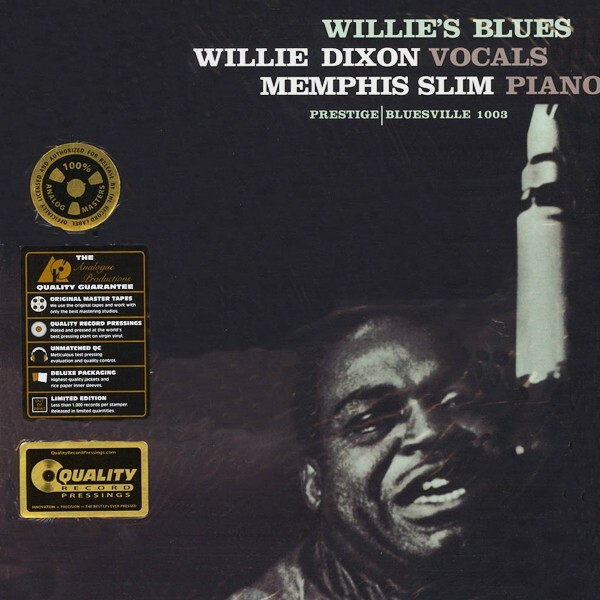 Since the early 1950s, Willie Dixon has been the studio kingpin of Chicago blues, having written, produced, and played bass on countless classics by Muddy Waters, Howlin’ Wolf, Otis Rush, Koko Taylor, and many others. Dixon has always managed to find time away from the studio to work as a performer, slapping his upright bass and singing his own tunes in a highly compelling, conversational baritone. Part of the ultimate audiophile Prestige stereo reissues from Analogue Productions — 25 of the most collectible, rarest, most audiophile-sounding Rudy Van Gelder recordings ever made. 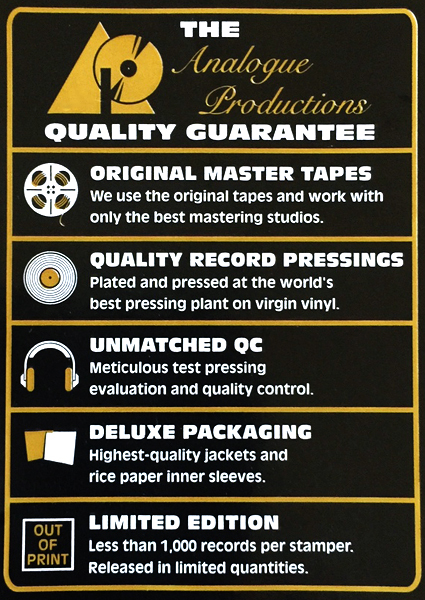 All mastered from the original analog master tapes by mastering maestro Kevin Gray. 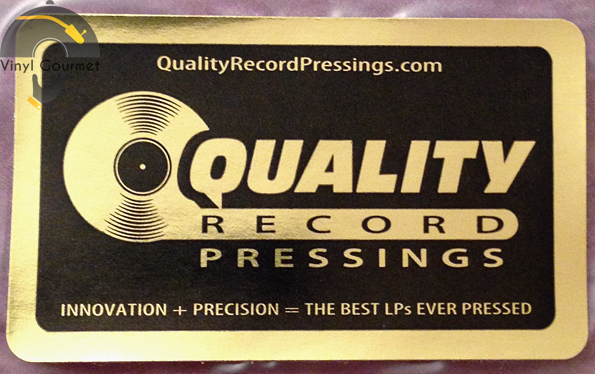 200-gram LPs pressed at state-of -the-art plant Quality Record Pressings and plated by Gary Salstrom. Deep groove label pressings, tip-on jackets on thick cardboard stock. Since the early 1950s, Willie Dixon has been the studio kingpin of Chicago blues, having written, produced, and played bass on countless classics by Muddy Waters, Howlin’ Wolf, Otis Rush, Koko Taylor, and many others. Dixon has always managed to find time away from the studio to work as a performer, slapping his upright bass and singing his own tunes in a highly compelling, conversational baritone. He was working the coffeehouse circuit with pianist Memphis Slim when he cut this, his first album as a leader, in 1959. Besides his unique interpretations of “Nervous” and “Built for Comfort,” it includes eight lesser known compositions from Dixon’s prolific pen. 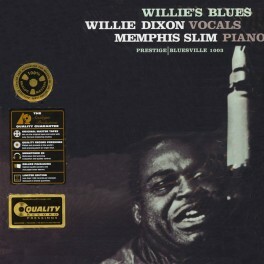 It is unlike all other albums by Dixon, as he and Slim are accompanied, not by the usual crew of Chicago blues players, but by a group of New York mainstream jazzmen, including tenor saxophonist Hal Ashby, guitarist Wally Richardson and drummer Gus Johnson.